Hey, everyone! I’m skiing in Colorado this week, so I thought today would be a great day to share with you this Q&A with celebrity makeup artist Molly R. Stern. One of her beloved clients is Reese Witherspoon and we just l-o-v-e-d every thing about her award show looks. Molly is one of the most renowned in the business, so I was pretty ecstatic to catch up with her and find out her beauty tips and secrets (scroll down for the mascara one…it’s good!). 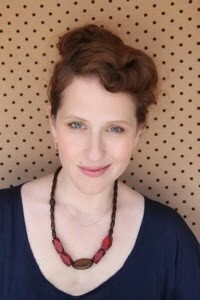 Follow Molly on social media @mrsbymrs…she’s both very creative and nice. Love that in Hollywood. I Heart Heels: Award season was amazing this year! Who did you work with on the red carpet? 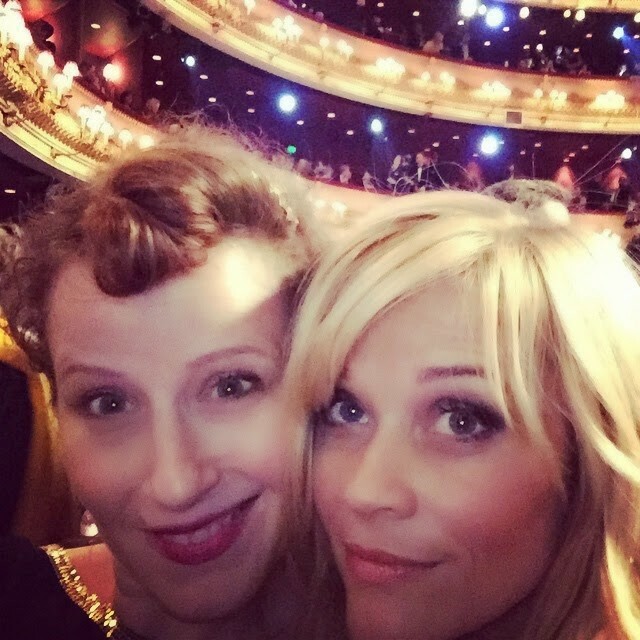 Molly R. Stern: Award season was a blast. I had the chance to work with Reese Witherspoon for all the shows as well as Julianna Marguiles for the Golden Globes and SAG. Two gorgeous women inside and out. IHH: You always do an amazing job on Reese Witherspoon. 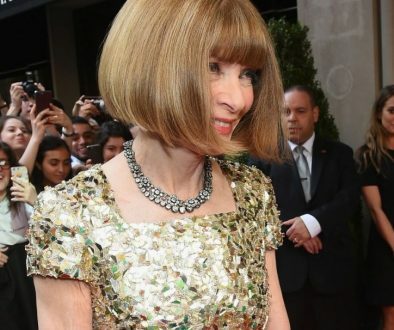 Talk about her Golden Globes look…and what’s it like working with her? MS: The Golden Globes was a great look to collaborate on. Reese wore a custom Calvin Klein dress, which glistened with beads. I kept her look super flushed with a blackened golden eye. It was the start of the season and we came out of the gate feeling good. IHH: What tricks do you like to use to open up the eyes…get rid of tired eyes? MS: Concentrate your mascara at the center of the lash line. By adding an extra coat there you draw the attention to the center of the eye versus any part that might be droopy or tired. IHH: What two products should a girl really invest in for her makeup routine? MS: I think a good foundation or concealer is important – one that’s easily blendable and buildable. That way you can get the coverage you need without looking like it’s caked on. Also, blush. A good cream blush that has high pigment will last all day and look gorgeously natural. IHH: Are you a fan of mineral foundation? It’s been so popular. MS: I don’t lean towards mineral foundation. 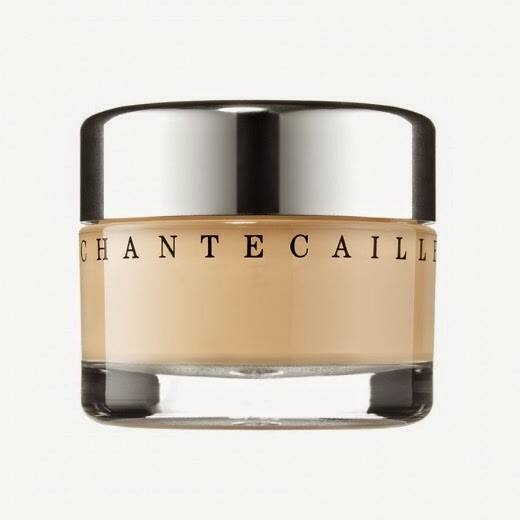 I really love Chantecaille Future Skin Oil Free Foundation. It’s great for sensitive skin. IHH: How important is lip color to the overall beauty look? MS: Moist lips are important. The color is open to the mood and vibe of the day! IHH: What’s award season like for you…and what do you do when it’s all over? MS: Award season is challenging in the best way possible because I’m pushed creatively since I have to design new looks for each show. After this season ended, I was treated to a fabulous massage. I needed it! IHH: Is curling the lashes a necessary step? MS: Yes! It really opens up the eye! IHH: Is your M.R.S. line still going strong? MS: It’s going! Growing a business is a wonderful, crazy journey. I’m working hard to make smart decisions and surround myself with people who understand what the brand stands for – MOTIVATION RADIANCE and STYLE – all things that come from within. As women, we need to remember that nurturing who we are on the inside and loving ourselves will have the most powerful effect on the world and make being inspired by beauty and fashion that much easier. IHH: Is being a celebrity makeup artist a great job to have with kids? MS: I’m so blessed to have the career that I do. I’m able to work with the most hard-working, inspiring and talented people, travel the world and be a mom. I thank my lucky stars on a daily basis. Share the post "Celebrity Makeup Artist Molly R. Stern on Her Favorite Foundation & Working With Reese Witherspoon"
I have never heard of the Chantecaille Future Skin Foundation until I read about it from your blog, I am thinking about trying it, I have very dry skin. I have 51 years old, have a Thyroid problem. that is why my face is so dry at times. I do use Atralin which has some RETIN-A. please give me your thoughts.